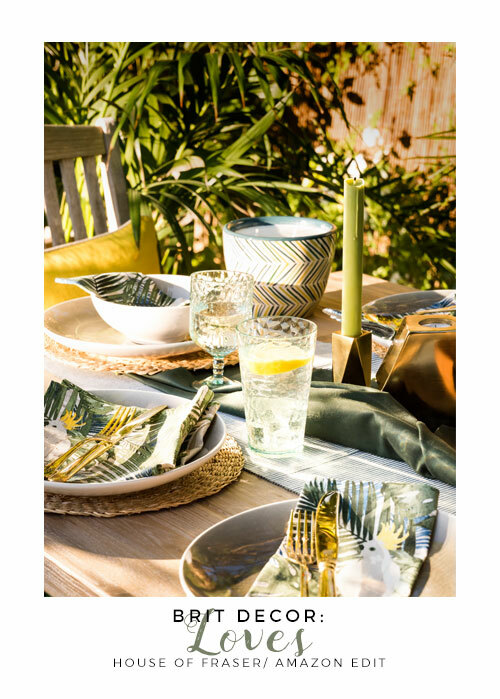 It's been quite a week on Brit Decor - firstly exploring the new Tribal trend for 2016 and now followed by some totally tropical realness, courtesy of House of Fraser's Amazon edit. 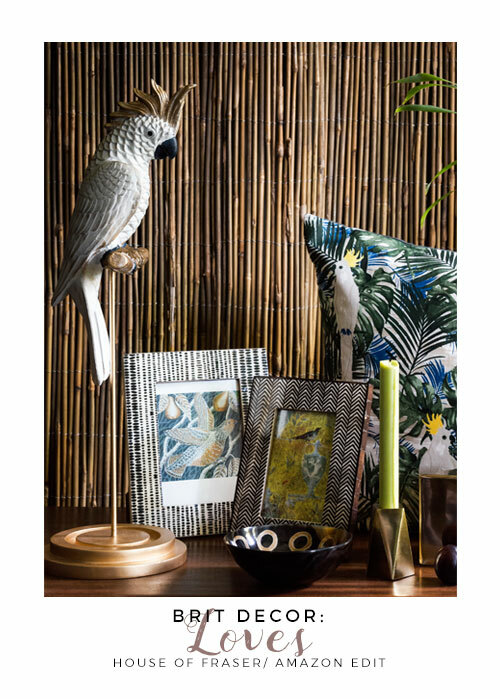 This somewhat eclectic collection of homewares brings together all of the exotica you'd expect from a tropical rainforest; foliage, the bright & the beautiful, complete with wildlife (I'm coveting the Cockatoo print cushion!). 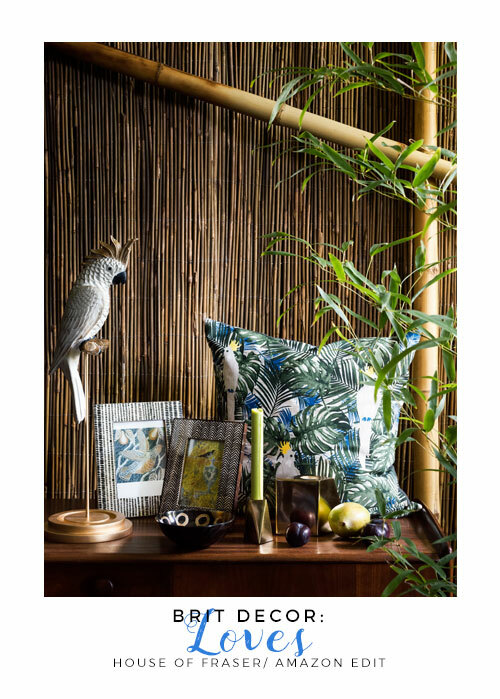 For those of us indoor gardeners, this range delivers some really exciting ideas on how to style our homes with accessories that will comfortably team-up with indoor plants, particularly the larger architectural varieties like Palms and Swiss Cheese plants. 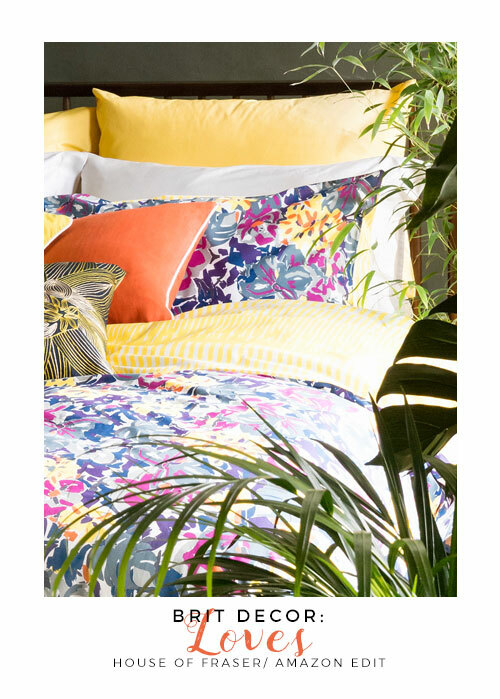 Allowing citrus oranges and yellows to pop against lush green hues, makes for a fresh and dynamic look - just check out the bedding 'below'. 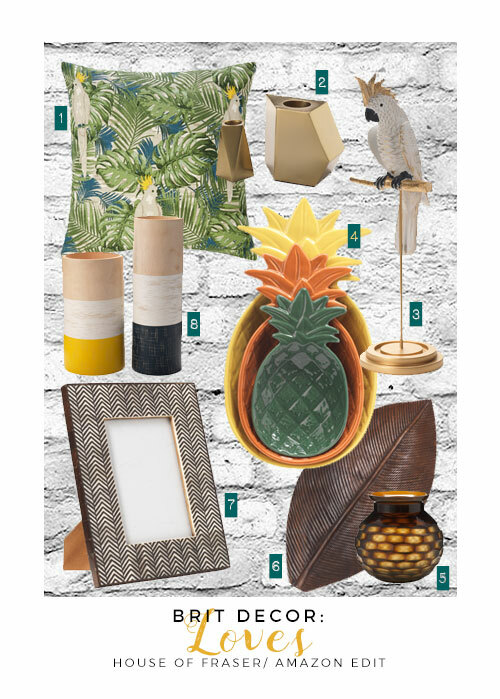 I've also picked out a few of my favourite items from the HoF edit (see the final image - also below) aimed at creating a mini-tropical update for the home. Meanwhile I'm just off to fix myself up an exotic cocktail!